... the changes that is. Many of you have messaged me to see if everything is OK and wondering why I haven't updated here for a while. Thank you for your concerns! I'm doing well, still hanging in here. As of yesterday, I'm 29 weeks along, measuring about 37 (for a singleton pregnancy) and feeling every ounce of it. I will have another appointment with MFM (high-risk doctor) on Wednesday to see how the little ones grow and develop. I'm really anxious about this visit because we haven't really checked on them since I started on the GD diet. 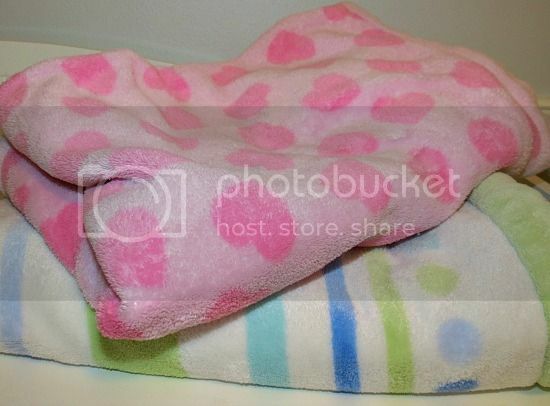 Yep, I have about 2000 diapers in different sizes, paid no more than $5 per pack (small one. Obviously, boxes were more but all still bought with coupons and on sale) and about 3000 wipes. Sounds like a ton but when you think that I will go through a pack of diapers in a day and a small pack of wipes in two, that doesn't seem like a lot any more. I'm not too concerned about allergies because the only diapers my boys were ever allergic to were Target brand, and if one of the babies ends up being allergic after all, my sister is due three weeks before me and a I have a few pregnant friends too, so I will always have somebody to give diapers to :) I do stick to Huggies and Pampers for younger age. I've also being working on freezer meals (more on this later). I didn't make as many as I hoped for but I'm still happy with the results. Yes, changes are coming. There are days when the time drags and drags but, mostly, the months are flying by. We are anxious, scared and excited to meet the little ones in about two months (hopefully!) and our hearts are already swelling with love for them. And how have you been, my lovelies??? I sure miss you all! I hope this writing block is over and I'm back to normal until my normal is turned upside down completely :)What did I miss? I am glad all is ok, I was wondering too. 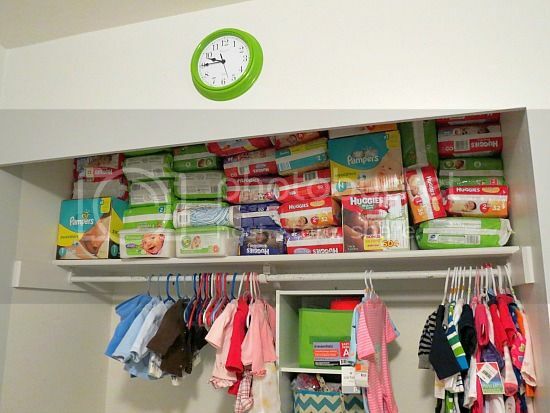 Great job on stocking up on all the diapers & wipes! I am happy to see an update from you. I know it is hard but I think you are doing great. You haven't missed anything from me, I was in a minor car accident 3 weeks ago and am just now healed enough that I think I can get back to everything normal. You are smart, I know you will figure it out. Oh that's scary!! I'm glad you are doing better now! Oh, and I've been eating nuts by a handful :) I have a nice variety here and that's one of my go-to snacks. Hang in there little Mama those babies will be here in no time. Hope you are making time each day to get lots of rest!!!!!!! I'm trying :) Thank you, Debby! I remember after my first son was born, I sent my husband out after cookies and I ordered bacon for breakfast that morning in the hospital. There is a certain amount of eating freedom when you aren't eating for two or three. Have you found any online support groups for gestational diabetes and twins? Since you said that it fairly common, maybe there are others out there sharing tips that they figured out. Good luck. Love seeing all the cute little clothes. Great stocking up on the diapers. Hope your appt with the high risk dr goes well. Sorry about all the diet changes. That would be tough to balance everything. Missed you and was praying all was well with you and the little one's. So glad to know all is fine. Cinnamon lowers sugar levels?? I learned something new today and this info will come in verrry handy. Try to put your feet up Lena and take things nice and easy. 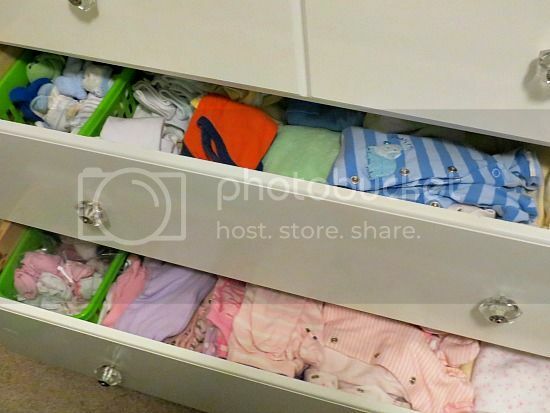 I love the drawers full of little tots' clothes :) Looks as though you are well organized. There you are filling up your closets with kids' stuff and over here I am emptying the nest .... two bedroom closets emptied this morning and off to the Goodwill. Good luck! Everything in the pictures is so sweet. Nothing is better or harder than a new baby ( or in your case 2 babies). Take it as easy as possible while you can. Life will be a little hectic but very exciting soon!